1) Crown of music, focus on the voice of champions. 2) Plug-in stereo can support TF card, USB interface, AUX, FM radio,and external computer audio Settings. 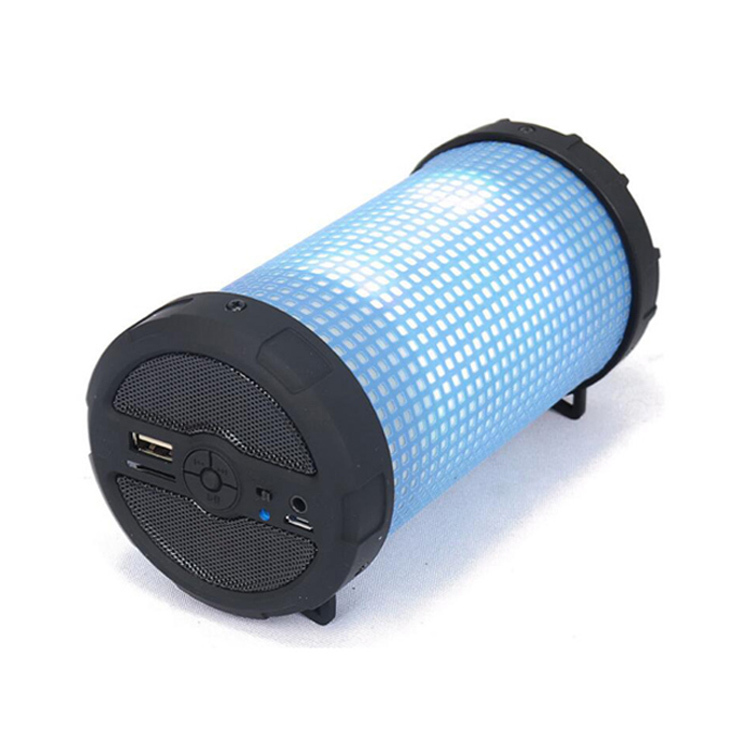 3) Support Bluetooth function; 25-meters transmission distance; High compatibility and stable transmission. 4) Standard built-in 1200MAH lithium battery. 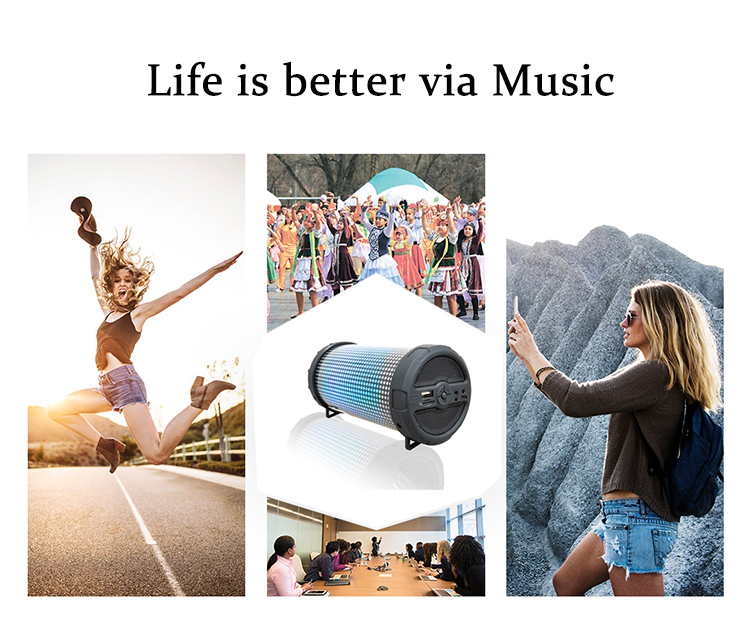 5) Hand-free wireless mini speaker, enjoy music anytime and anywhere. 6) Colorful cartoon design, support customised design. 7) Features: support PC audio input, AUX, TF card, USB, FM radio, wireless blue tooth functions. 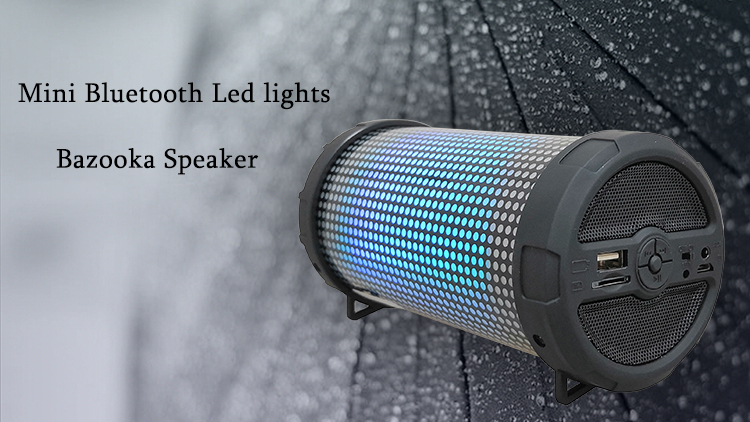 1.We were founded in 2007, focusing on Bluetooth Speaker production and research for 10 years. 2.Exports account for as much as 90%. 3.Our company takes innovation as the motive force, takes quality as the goal, persists with the customer "the brand creates, the benefit shares" the win-win strategy. 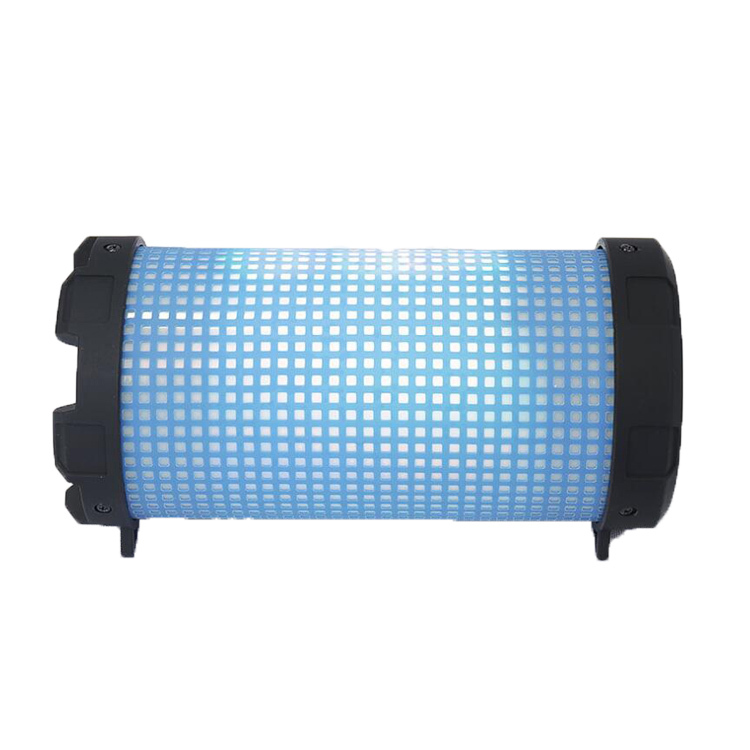 4.We have Certification of CE, FCC and ROHS. Q1:Are you a factory or a trade company? Re:We are a factory with 10 years' OEM&ODM experience. 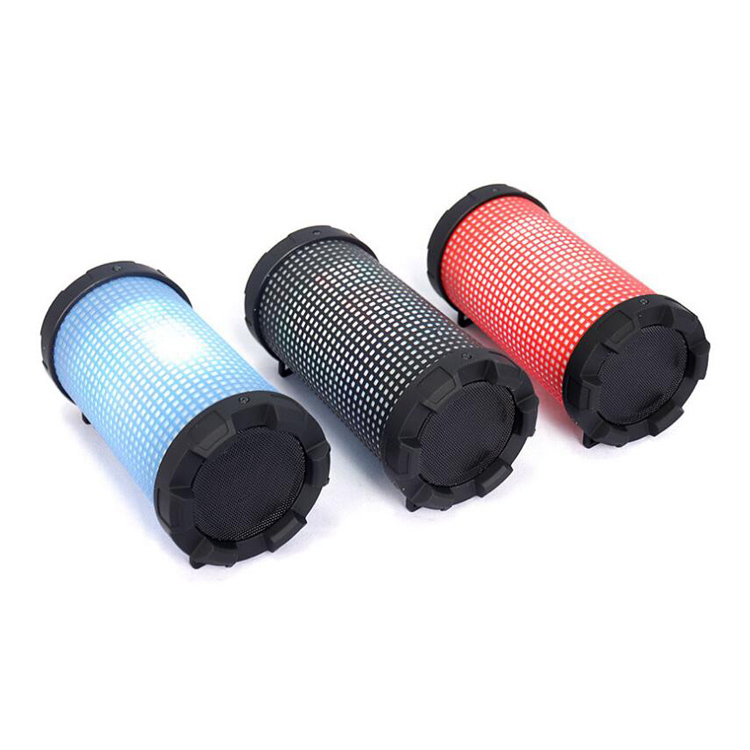 Re:1000pcs,different products have a different MOQ. Mass Product, within 30 days according to the order quantity. Q4:What certification can you provide? 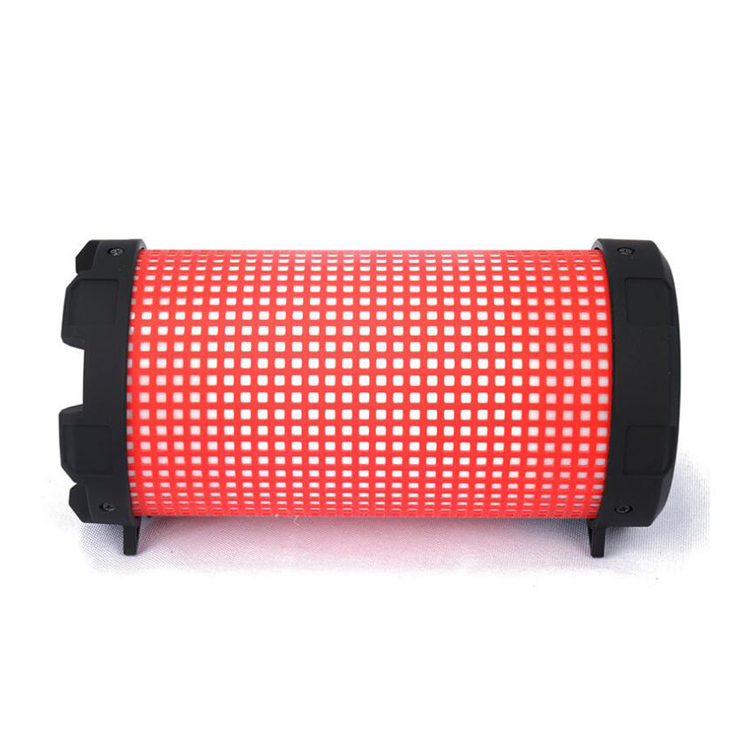 Re:We can provide CE/FCC/ROHS and so on. 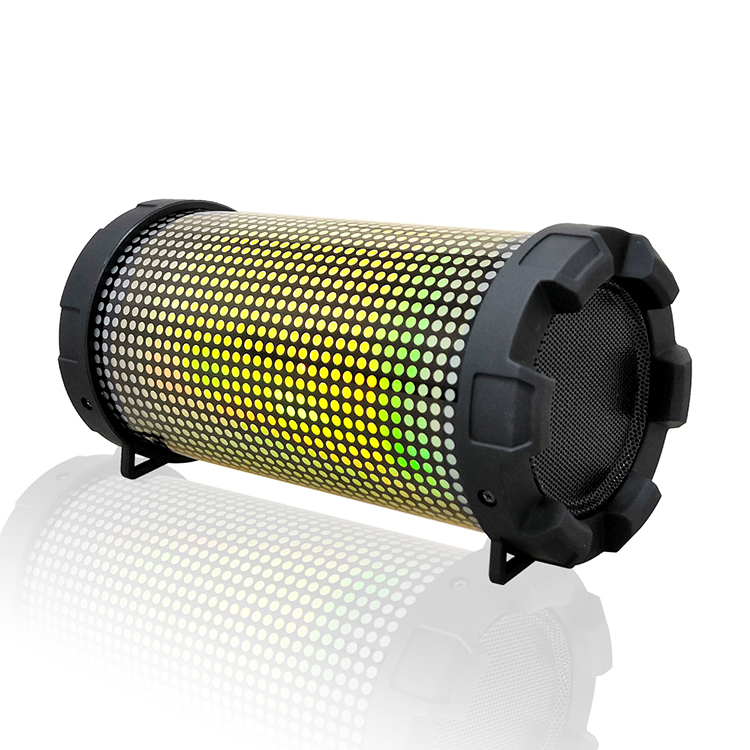 Looking for ideal Led Lights Bass Speaker Manufacturer & supplier ? We have a wide selection at great prices to help you get creative. 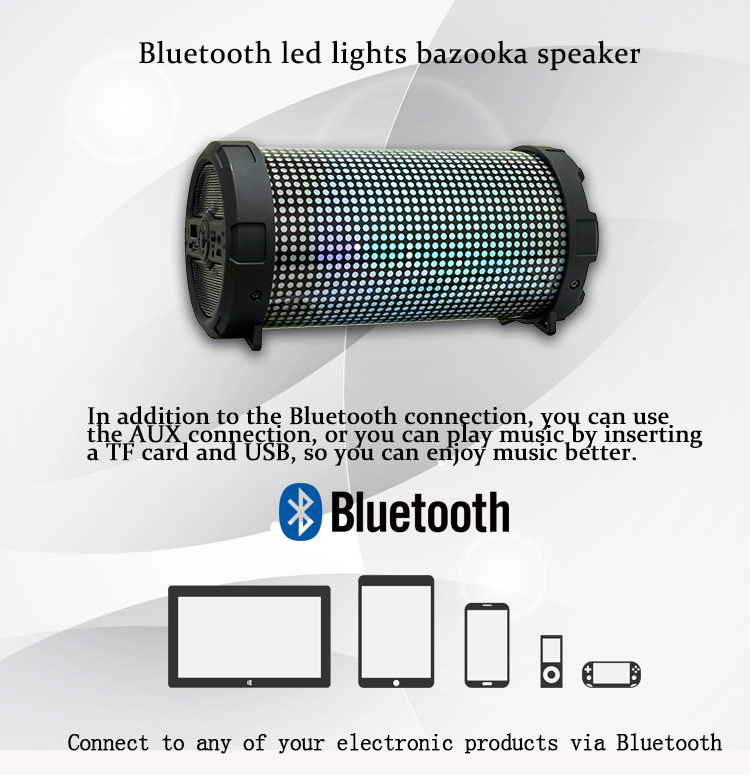 All the Plug-in Card Bazooka High Quality Speaker are quality guaranteed. 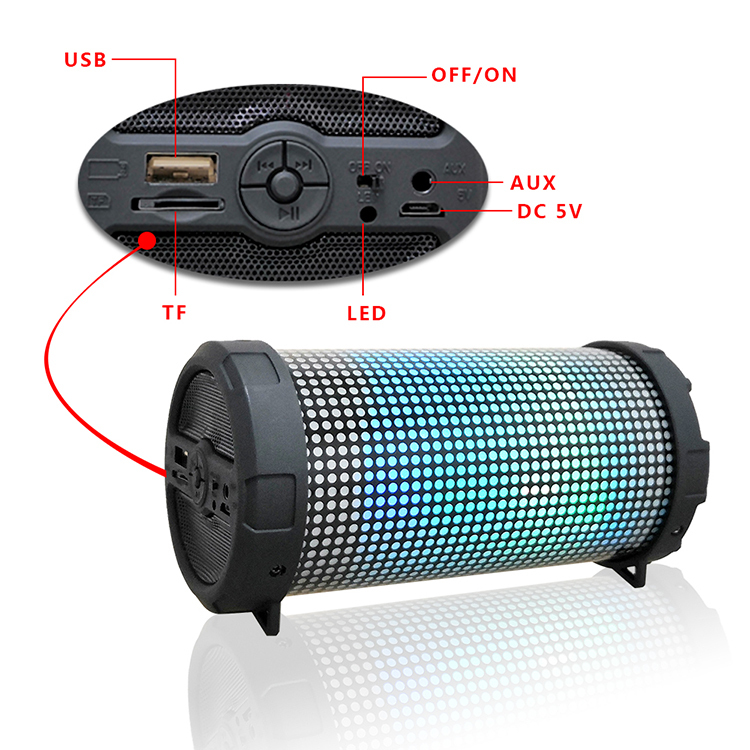 We are China Origin Factory of Round Sound Bar with TF Function. If you have any question, please feel free to contact us.